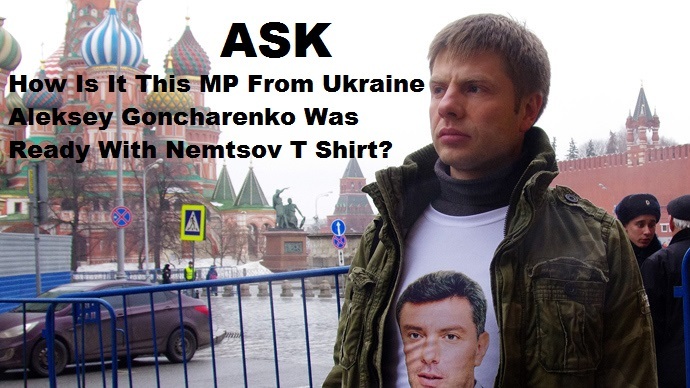 Who was #Putin antagonist Boris #Nemtsov shot Shot dead (by) four shots from a handgun in central Moscow? He served in Russia’s Lower House State Duma and upper house Federation Council. Before the coup and overthrow of the democratically elected Government of Ukraine in Kiev he openly supported Ukraine’s course toward the EU and NATO…He said…. “by supporting Ukraine, we support ourselves”. Up to the point of Nemtsov’s killing his party held no seats in the Duma (Russian Parliament) and in was polling less than 1% favourability in any opinion polls. The reality was with Putin riding high in the polls over his handling of the Ukraine crisis something accepted in the west and the “opposition” rally called for MARCH 1 was likely to be a flop. 1) Have [they] been left behind [planted] deliberately to link to another weapon or weapons and other unconnected people ? 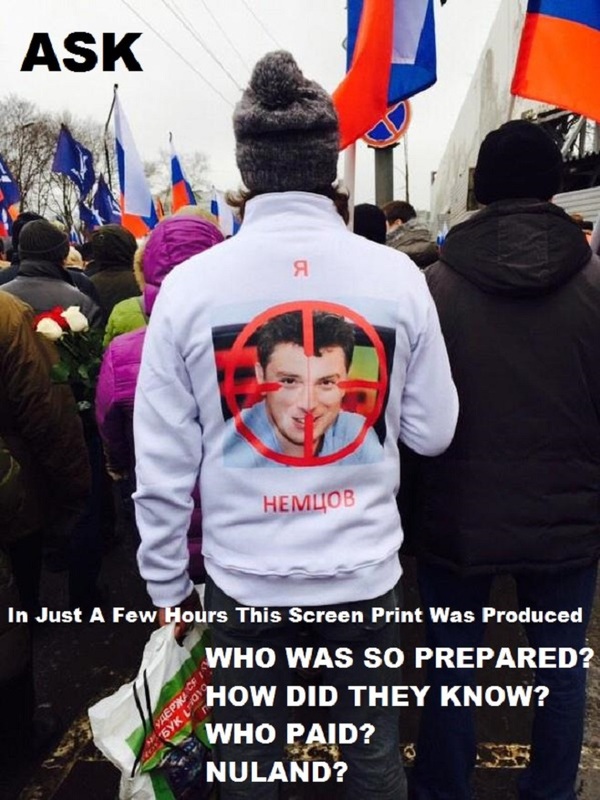 Nemtsov was Western financed but the timing of his killing has all the earmarks of a staged “false flag” to discredit and provoke conflict within Russia. 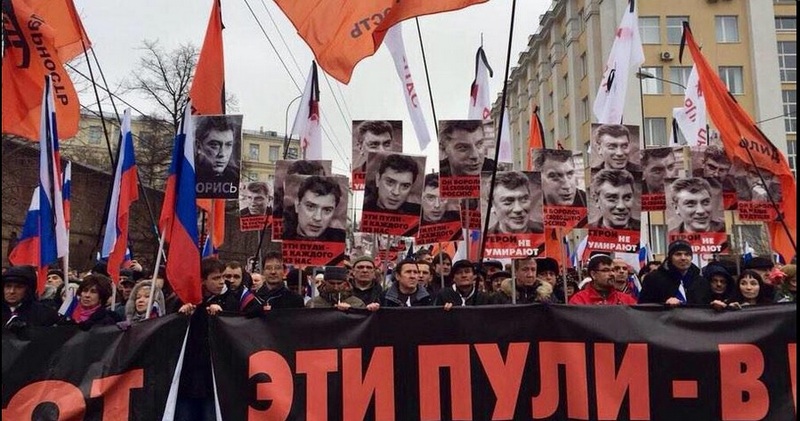 If Putin wanted Nemtsov dead, it’s inconceivable he’d order a Mafia-style contract killing. An “unfortunate” plane car crash simple abduction or poisoning him would have made more sense. Nemtsov’s gunning down in central Moscow as a political assassination would be idiotic as per the outcome of what we see today. 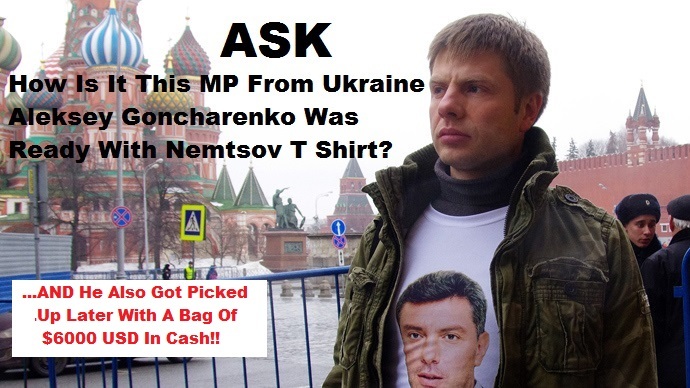 Clearly Nemtsov’ FADING STAR is more valuable to the US DEAD. Obama wants war, not peace. He wants destabilizing regime change in Russia – perhaps by nuclear war if the US can provoke Russia in Ukraine and gift the Pentagon Hawks waiting get their way other methods fail. 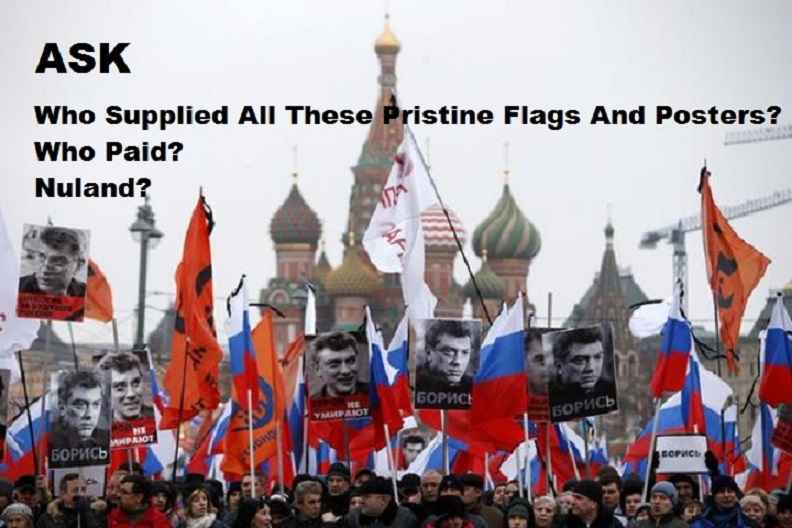 The most likely truth is Nemtsov’s killing is Washington’s and Nulands boldest attempt after Kiev to put into operation a longstanding regime change strategy. The US have the history of doing this since the end of the Second World War. Received a suspended 3.5 year sentence for embezzling over $500,000 from cosmetics company Yves Rocher. Is a US Citizen whose net worth is estimated to be over $150,000,000 US dollars Kasparov is allied with US far Right not only in ideology but also in organisational terms. He is a member of the National Security Advisory Council (NSAC) of the mili­tarist think tank Centre for Security Policy (CSP) led by Frank Gaffney (protégé of Richard Perle of Iraq fame). The Council’s members include right wing intellectuals, former govern­ment officials, retired generals and and representatives of the armaments industry.